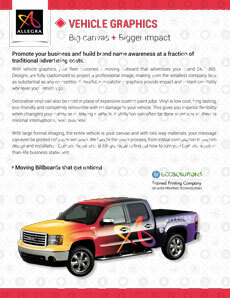 Promote your business and build brand name awareness at a fraction of traditional advertising costs. 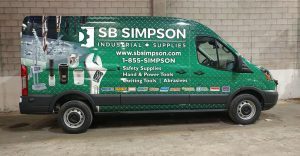 With vehicle and fleet graphics, your delivery or service vehicle becomes a moving billboard that advertises your brand 24/7/365. Designs are fully customized to project a professional image, making even the smallest company look as substantial as any competitor. Colourful, eye-catching vehicle wraps provide impact and instant credibility wherever your vehicles go. Decorative vinyl can also be used in place of expensive custom paint jobs. Vinyl is low cost, long lasting and completely removable with no damage to your vehicle. This gives you superior flexibility when changing your message or leasing a vehicle. Installation can often be done same day so there is minimal interruption to your business. With large format imaging, the entire vehicle is your canvas and with two way materials, your message can even be printed right over windows. We handle the entire process, from initial consultation to custom design and installation. Solid colour vinyl letters and shapes are cut and applied to your vehicle. There is no printing involved in this process. Cut vinyl is often used together with partial and full wraps. Prices range from $350 to $1200. This is a great cost saving alternative to a full wrap. Vinyl is applied to specific areas on your vehicle and combined with cut vinyl to produce outstanding results at a lower budget. Average cost for a partial wrap is between $1600-$2400. 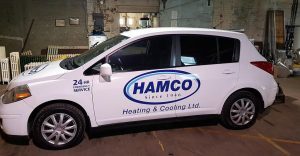 Cover your entire vehicle with full colour vinyl graphics. Windows can also be covered, with semi transparent vinyl material. The most attention grabbing option for your advertising dollar. For most pickups and work vans the average cost is between $2600 to $3200. 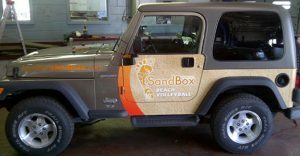 We can also provide you with a custom solution which may include a combination of car wrap, decals and cut vinyl. Our experts will advise you on how to make mobile advertising the most effective for you and your budget. There are also a variety of specialty vinyl products like reflective vinyl which can complement the design and make it really stand out.